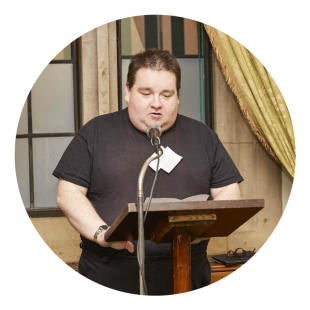 John Clarke is an activist who campaigns for the rights of people who have learning disabilities. He is a member of our Stirling ACE group and National ACE committee. John lives in Stirling and has a learning disability. “For over 10 years I volunteered in a local charity shop. I turned up on time, did what I was asked. I did what an employee would do. In that time I applied for job after job. Each time I was turned away even though I had proven that I could work. After 10 years of service at the charity shop, I was asked not to return, simply because I requested a day off for a hospital appointment. “I thought this was really unfair. I wanted things to change. “Being part of ENABLE Scotland gives me the chance to speak out about issues like this. In November 2016, I went to Westminster and spoke in front of MPs. “I told them, I have a learning disability and I can make a difference. I can say what needs to be said and make things change. Everybody in society has needs and it is important that everyone’s needs are met. Life with a learning disability isn’t easy but people like me, with the help of organisations like ENABLE Scotland, can make things better. “They listened and they took me seriously. They even asked if they could use my speech as evidence in a debate the next day. Find out more about ENABLE Scotland's ACE Groups.